As the holiday season quickly approaches, finding a sophisticated gift for friends, family, colleagues or clients can be stressful. But, have no fear! Our friends at Luxury Portfolio are always on the lookout for new and exciting high-end trends that take the pressure out of gift-giving. We’ve got a great one to add to your list of stocking stuffers! A true crowd-pleaser, this beautiful and whimsical Tiffany & Co. rose gold crazy straw is one of our recent favorite finds. Fun and funky, this sustainable gift from Tiffany & Co. is handcrafted with a Tiffany Blue® enamel accent that will add a festive twist to every sip of soda. 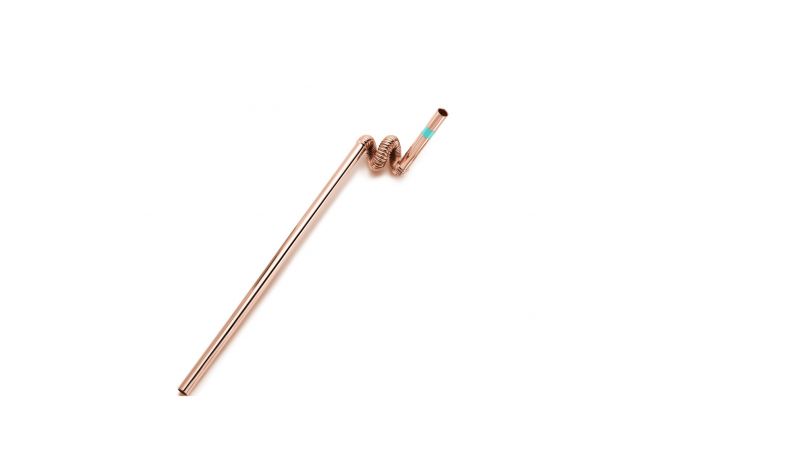 And, if rose gold isn’t quite your style, the straw is also available in sterling silver and gold vermeil. If you’re looking for other trendy gifts for the Tiffany fans in your life, visit the website to browse all of the “Everyday Objects” that can help elevate the ordinary items in any home! For even more luxury, explore Homes of Distinction near you. *This content was originally published on LuxuryPortfolio.com and distributed by Luxury Portfolio International®. Please view the original post here.